If you're an outdoor enthusiast, bicycling, Pacific Northwest, traveling, road-tripping-reader, you should probably come check out the theme tables at Lake Forest Park. This month, the tree table is featuring everything you might need for the perfect road trip. We're talking, maps, audio books, BBQ cookbooks, travel guides, "beach reads," and even flip flops. We have got it all. But if a fossil fuel powered road trip isn't your bag, the small table is featuring books dedicated to bike month. That's right, May is officially the month of the bicylcle (oh how I wish we still called them velocipedes). We've got histories and memoirs, picture books and repair manuals...all featuring bikes! 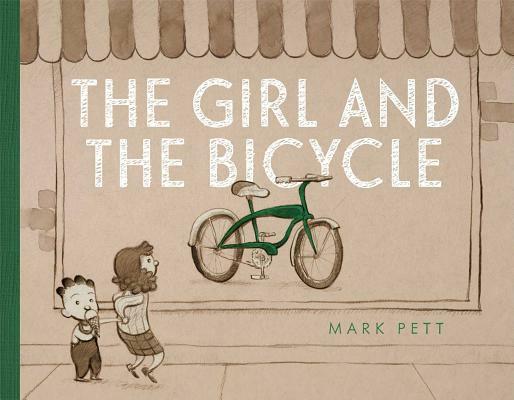 From the creator of The Boy and the Airplane, a touching wordless picture book about a little girl, a shiny bicycle, and the meaning of persistence--with an unexpected payoff. The woman and the girl work through the seasons, side by side. They form a tender friendship. When the weather warms, the girl finally has enough money for the bicycle. She runs back to the store, but the bicycle is gone What happens next shows the reward of hard work and the true meaning of generosity. The Rules is an essential part of every cyclist's kit whether you're riding to work or training to be the next Bradley Wiggins or Victoria Pendleton. Winning awards and gaining millions of viewers, Velominati.com has become an online cycling mecca. In 92 canonical rules, these masters of the peloton share tips on gear, tell stories from cycling s legendary hardmen, and enforce the etiquette of the road with a healthy, often sinister sense of humor. Practical and motivating (Rule #12: the correct number of bikes to own is N + 1, where N is the number of bikes currently owned), unflinching and authoritative (Rule #9: If you're out riding in bad weather, it means you are a badass. Period. 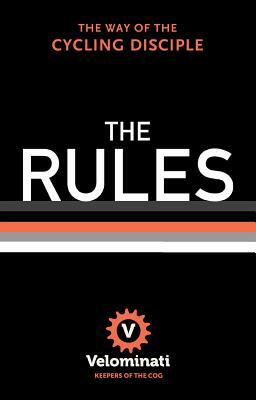 ), The Rules will help readers find their cycling passion, whether it's in high alpine passes or tight velodrome races, in the garage before the ride or in the bar afterward. "Vive la Vie Velominatus." In honor of bike month, show your bicycle helmet to the cashier and receive 10% off your purchase. Don't forget your bike saddle bags! You never know what kind of goodies you'll find! Also stay tuned for more info on our Bike to Work Stations.